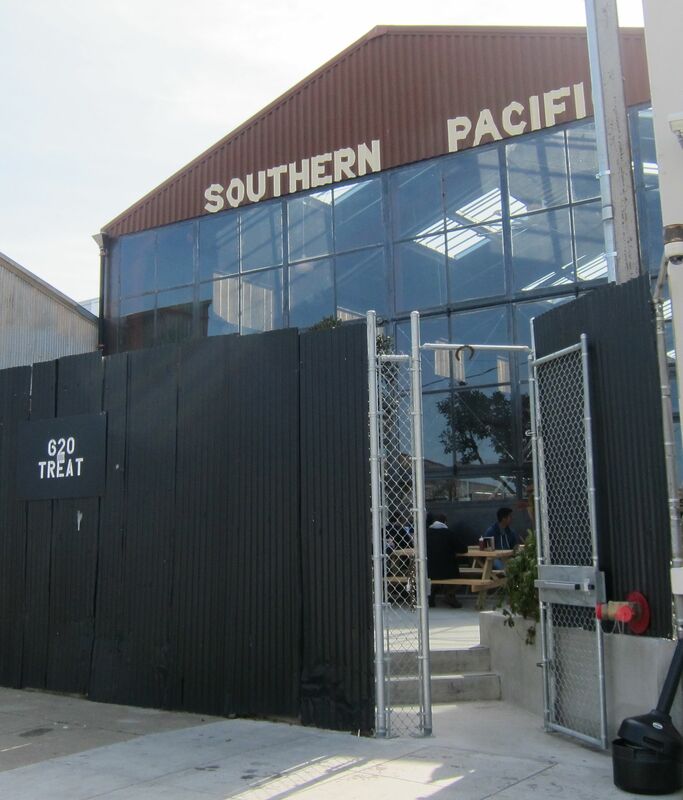 Opened in January, 2012, and nestled on a small side street in the Mission District, Southern Pacific Brewing fits rather inconspicuously into its industrial surroundings. It is, in fact, housed in a former metal shop. Using the reborn 15-barrel brewing system from the defunct Potrero Hill Brewing Company, they are making west coast style ales and perhaps a few lagers which are served along with guest beers from 21 taps at a large bar. Spirits and wine are also served. Their kitchen provides full meals and bar snacks, served in a two-tiered dining area and on the outside patio. There are two small television screens that do not seem to distract from socializing. Extras: Eventually we expect to see a few special beers aged in barrels they’ve acquired from their neighboring winery. Shotwell’s bar is 3 blocks away as is Bender’s Bar and Grill. Also, at the corner of 19th and Shotwell you may notice the SFFD training facility. During the daytime you might see them training to do rescues from buildings and honing other fire fighting skills. Walking from 16th Street BART: Walk south on Mission Street to 19th Street. Turn left and walk 5 blocks to Treat Avenue. Turn right and continue half a block to the brewpub compound on the right.